Minister of Information Technology Ranjith Siyambalapitiya refuted the allegations being made by the Opposition United National Party saying that the government has increased oil prices in accordance with an agreement made with the International Monitory Fund as baseless and sheer imagination. 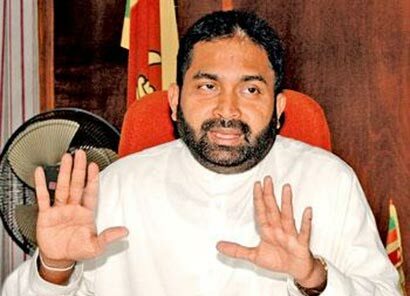 Addressing a Media Conference in Colombo yesterday, Minister Siyambalapitiya said that it was the United National Party government that made secret agreements with the IMF and sold the resources of this country, slashed welfare assistance to the people. The Minister said that the United National Party government in accordance with an agreement signed with the IMF in 2003 privatized the Sri Lanka Insurance Corporation, State Banks, Sri Lanka Telecom and privatized several other profit making government Corporations and Institutions. He said the United National Party government also abolished the Public Service Pension Scheme, reduced import taxes facilitating their political cronies and subjected the country to be flooded with unwanted imports, introduced tax concession for the wealthy and imposed taxes affecting the ordinary masses. The Minister pointed out that these Bills were not even presented to the Cabinet. He said that, however this government went to obtain loans from the IMF in 2009 at a time the Terrorist War was at its peak and the world economy was crumbling affecting many countries in the world. He said that the government has continued to provide fertilizer subsidy despite increase of fertilizer prices by many fold in the world market and providing the Samurdhi benefits increasing the amounts provided as benefits. Similarly, the Minister said that it has increased funds allocated for education and health sectors annually during the last several years. He said that it has also provided several concessions to the public servants, and increased recruitments to the Public Service which the United National Party government attempted to curtail on the advice of the IMP and send many public servants on early retirement or retrench their services.